Each year, millions of Americans are injured by defective products that are put into the marketplace. Some products may be inherently dangerous, while other risks may be less obvious. No matter the situation, responsible parties must be held accountable for product defects that cause injuries. Products can be defective if they are designed improperly, have manufacturing defects, or if they provide inadequate warnings to consumers. Designers, manufacturers, suppliers, distributors, and retailers can and should be held liable when their products threaten our health and safety. If you or a loved one has suffered injuries from a defective product, you may be entitled to compensation to cover medical expenses and other damages. At Lawrence & Associates, our team of dedicated Cincinnati personal injury lawyers is here to help you get the relief you deserve for your injuries. Contact us today at (513) 351-5997 to learn more. Companies are responsible for releasing safe products. When they don’t, consumers can receive severe and even life-threatening injuries. In theory, it should be easy to recover damages from a company whose dangerous product injured you, but things can quickly get complicated. To be compensated for your injuries, you must establish fault, and to establish fault, you must understand and prove the legal theory of negligence. The ability to recover compensation in a product defect claim hinges on the proper application of legal concepts to your injury. A professional attorney knows how to best manage your claim so that you are positioned for success. Lawrence & Associates has a team of lawyers who deal with product liability cases just like yours, and they can apply their years of education and experience to your case. Product liability cases are special because they deal with many different facets of the law. It is important that victims of product liability injuries discuss their situation with an attorney as soon as possible. If you have been injured in the Greater Cincinnati area, a dedicated member of the Lawrence & Associates legal team can review your case thoroughly so that you have a clear understanding of how to proceed and can get maximum compensation for your medical bills, time off work, rehabilitation, and other damages. Lawrence & Associates has a team of attorneys dedicated to helping injured people receive just compensation. Our experienced lawyers are well-versed in a wide range of personal injury matters, including product liability claims. If a dangerous or defective product injured you or a loved one, we can help you get the relief you deserve. At Lawrence & Associates, we take pride in our client relationships and promise that your case will get the attention it deserves as we aggressively pursue the responsible parties. At Lawrence & Associates, our Cincinnati product liability lawyers will provide compassionate support as we represent your claim from start to finish. 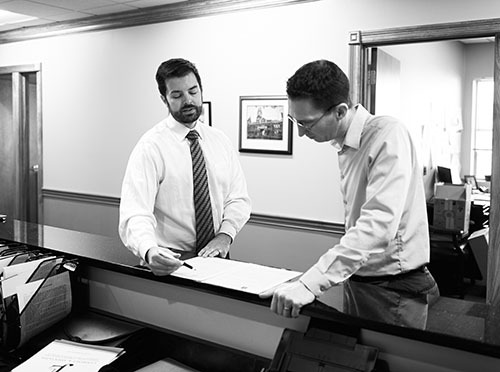 We are determined to succeed in every case we handle because our clients deserve life-changing results. We have prevailed against insurance companies and large corporations in all types of cases, including product liability. We maintain a genuine concern for our clients, and we can help you and your family to overcome the most challenging situations. With office locations in Fort Mitchell, and West Chester, Lawrence & Associates also offers the option to consult by phone or to travel to meet you at a convenient location. Defective Design: Product liability claims based on a design defect arise when a product is unreasonably dangerous to use. A design defect affects all of the products that were manufactured because of the way it was initially engineered or created. Defective Manufacture: Product liability claims based on defective manufacture arise when a product is unreasonably dangerous due to a mistake in the way it was produced. This type of defect may not affect every unit of the product on the market; rather, the defect is limited to a manufacturing run that added or omitted something from the product to make it dangerous. False Advertising or Failure to Warn: Claims involving marketing or advertising lies and/or failure to warn arise when consumers are directly misled or if their injury could have been avoided by providing a clear warning. In these situations, products that are inherently dangerous might be marketed as “safe” or “easy to use.” Other products may lack a warning for accidental use of the product that was unintended by the product creator. Our attorneys at Lawrence & Associates have a proven track record of success in managing claims regarding all aspects of product liability. If you have suffered an injury in Kentucky or Ohio due to a defective product of any kind, please call an experienced attorney with Lawrence & Associates to review your case today. If you’ve been hurt by a dangerous or defective product, you likely know that you can take legal action. The thing is, you might not know just how to do it. Turn to our attorneys for the help and support that you need. We’re here to provide the answers to any of your questions, whether through helpful FAQs like those below, or during a confidential consultation. How soon should I contact an attorney for a product liability injury? You should always contact an attorney as soon as possible after an injury. Statutes of limitations are laws that set the maximum amount of time you are allowed to take before you lose the right to make a claim. These laws vary from state to state and depend on the kind of claim you file. The only way to ensure you will not lose your ability to make a claim is to start legal action by talking to an attorney as soon as you are able. How much does a product liability attorney cost? At Lawrence & Associates , we operate on a contingency fee basis, which means that you only pay us if we win a verdict or settlement for you. Fees for every type of case are different, and after we discuss your claim, we will lay these out clearly for you in a contract. Do I need an attorney for a product liability claim? Yes. Product liability claims inherently have many parts and can involve many facets of the law. To create the best chances for you to be compensated for your injuries, you should always consult an attorney. Your initial consultation is free, and you can decide how to proceed from there. A skilled product liability attorney will initially consult with you and craft a strategy for how your case will proceed, reviewing what types of compensation might be available to you. Your attorney will gather evidence for your case, including consulting with expert witnesses if necessary. Many product liability cases end up as class action lawsuits when multiple people are injured in the same way, and your attorney will fight to represent your specific interests so that you are not shortchanged for your injuries with a tiny settlement that will not cover your medical bills. Is my injury serious enough to file a product liability claim? In Ohio, you must have more than $1,000 in medical bills in order to file a personal injury claim, and this includes product liability claims. Our attorneys can review the details of your case with you during a free, no-obligation consultation and advise you as to whether you have a case that is worth pursuing. Can you still help me if the product that injured me was made outside of Ohio or Kentucky? Yes. If your injury occurred in the state, we can help you. Generally, courts try to help the injured victim and keep cases in states where injuries occurred. However, if for any reason your case is moved outside of Ohio or Kentucky to a different state, it is likely that we can still represent you and, if necessary, bring in a trusted associate from another state to assist. How long does a product liability case take? Every case is different and depends on a unique set of factors specific to your circumstances. Lawrence & Associates will always work to achieve the best possible results for your claim, which is usually more important than a speedy settlement. Everyday products shouldn’t cause harm to consumers; unfortunately, it happens more than it should. If you or a loved one have been injured by a dangerous or defective product in the Greater Cincinnati area, call our experienced team of product liability lawyers can help you get the compensation you need for your injuries. Call Lawrence & Associates at (513) 351-5997 today for a no-obligation, free consultation.